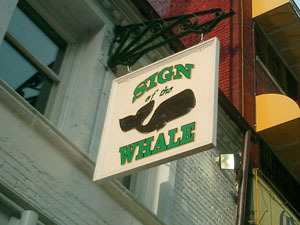 Washington DC's Sign of the Whale, an 18th Street landmark for nearly one-half century located in Mid-Town is the most dynamic establishment in DC to combine both work and play. Offering lunch, brunch, dinner, upbeat nightlife or an exciting place to watch a sports game, the many facets of Sign of the Whale will never disappoint you or let you leave with out a smile! 03/12/2015 Where to Celebrate St. Patrick's Day 2015 in Washington, D.C.